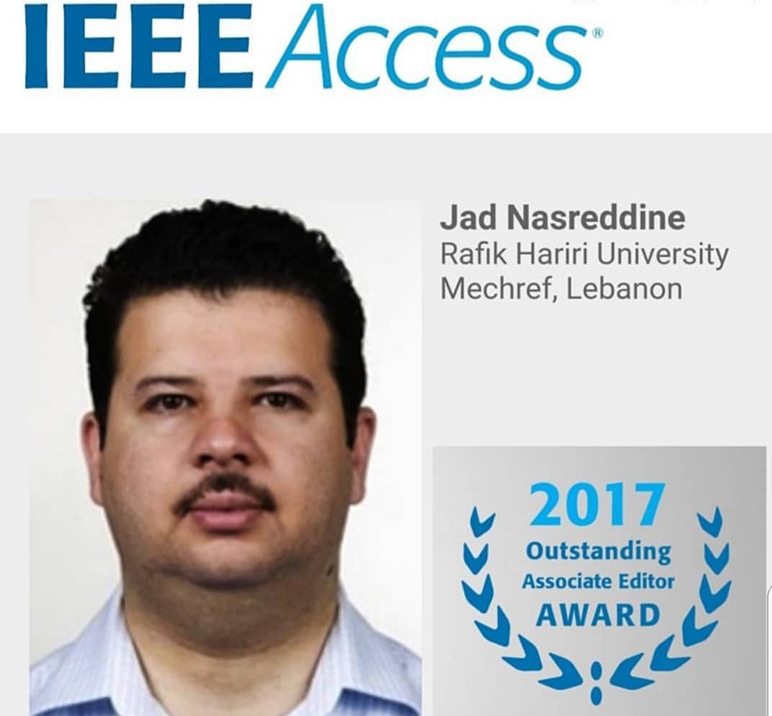 RHU is proud of faculty member, Dr. Jad Nasreddine, associate professor in the Department of Electrical and Computer Engineering, for being selected by IEEE Access as one of 29 Outstanding Associate Editors 2017 Worldwide and the only one from the Middle East and Lebanon. “We would like to congratulate our Outstanding Associate Editors for their contributions to IEEE Access through 2017. These Associate Editors have directly contributed to the tremendous growth of IEEE Access with their exceptional work, and assisted the journal in upholding high publication standards. Thank you all again for your hard work! For a complete list of Outstanding Associate Editors of 2017, please visit http://ieeeaccess.ieee.org/editorial-leadership-and-staff/…/. This week we would like to highlight the following Outstanding Associate Editors: Jad Nasreddine, Mugen Peng, Antonio Plaza, and Tie Qiu,” said IEEE Access in a press release on July 19.